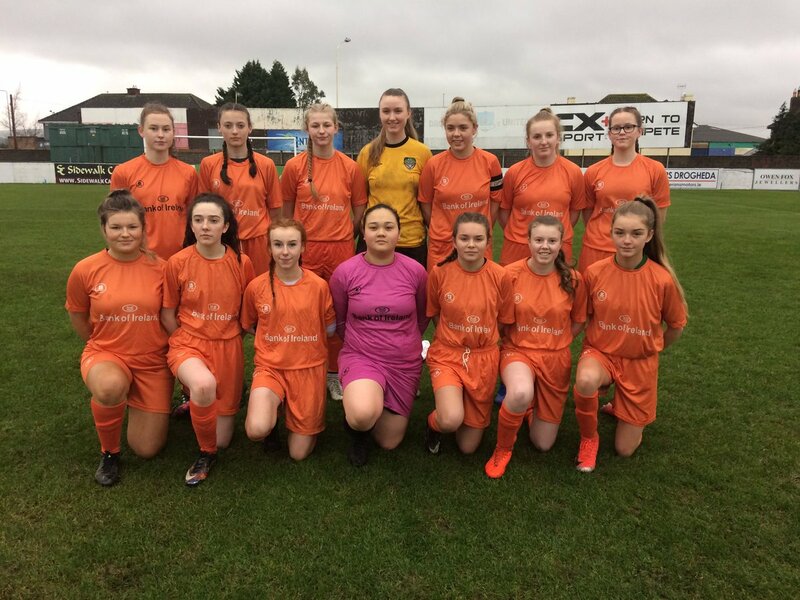 ST. LAURENCE COLLEGE, LOUGHLINSTOWN captured the FAI Schools Senior ‘B’ Girls National Cup and thus dashed the three in-a-row title ambitions of hot favourites Mulroy College, Milford in a pulsating tie in Drogheda United last Tuesday. Played in difficult conditions this showcase did not disappoint as a solitary goal courtesy of the inspiring Chloe Matthews midway through the first half ensured another fantastic National title for John Rowe’s charges. 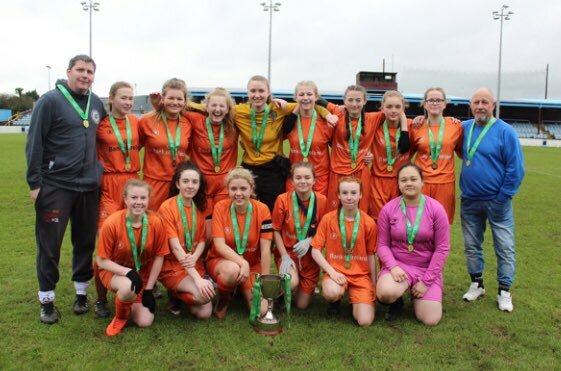 The School are relevantly new to the National stages and in recent years they’ve managed to bag a second title to accompany their Junior Girls Cup which they picked up two seasons ago and marked a fine 50th Anniversary celebration for the Dublin institute. Mulroy on the other hand were a very experienced outfit snagging the title on five previous occasions with victories in 2009, 2012, 2014, 2017 and 2018. This season marked their sixth consecutive appearance at this level of competition but it was a step too far to command their third successive win. Mulroy started the game in lively fashion with Catherine Grier and the Dugera duo combining well in a frantic opening ten minute period but the Loughlinstown defence were well set up to elevate the early pressure. There was plenty of opportunities craved out by both teams but Captain and net-minder Clare Friel of Milford and her counterpart Courtney Maguire were exceptional throughout the contest to keep the score-line to a minimum. St. Laurence Captain Jessie Morrissey was in sensational form for the big day and dominated much of the key moments in the game as well as impressive performances from Ava Gibson Doyle, Bobbi Downer and Lana Doyle as well as Maya Stubbs playing through injury. It was a wonderfully orchestrated opener after 18 minutes with Suranne William’s slicing header falling to the feet of the on rushing Williams who made no mistake from the edge of the six yard box to slot past the diving Friel. 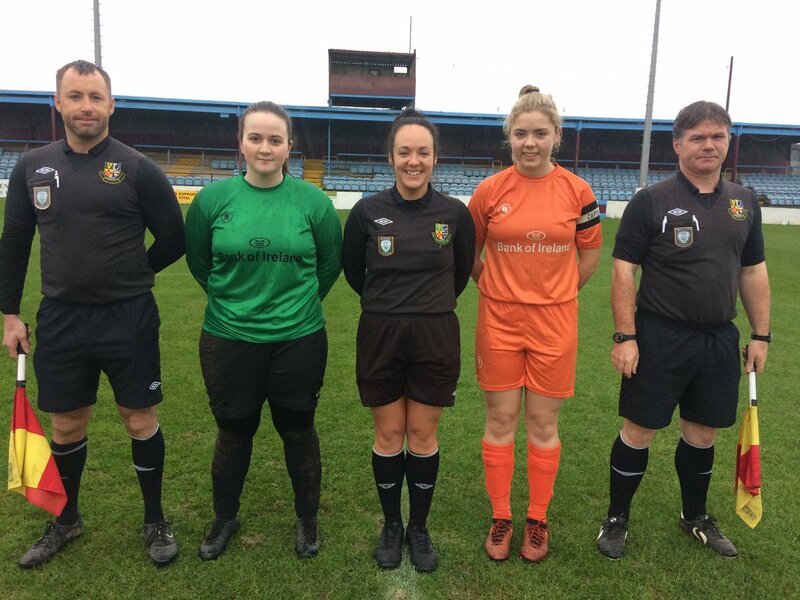 Lisa Dugera and Anna McFadden both tested Maguire before the break but the Under 17 International Maguire was forced into some great saves. Chloe Matthews came close to doubling their advantage but Friel was again on hand to deny the young striker before the hour mark. 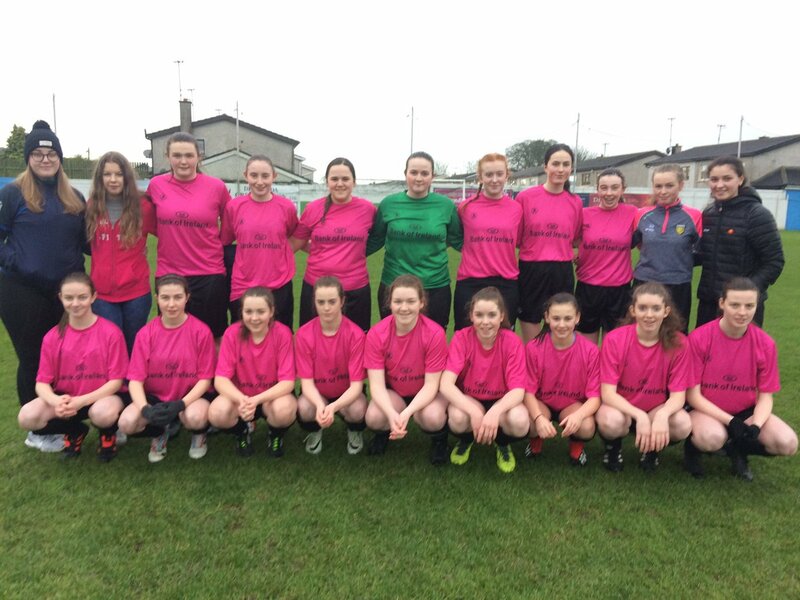 Mulroy were piling on the pressure in the latter stages but just couldn’t grab an equaliser and the industrious St. Laurence’s held out for an outstanding title win.